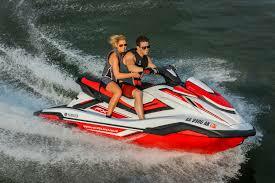 Drummond Marine's Personal Watercraft Service Team has experience with all makes, models and years. Our technicians are trained with the latest diagnostic tools and armed with Drummond Marine Standard Operating Procedures to diagnose and repair personal watercraft quickly. We offer everything from tune-ups and oil changes to rebuilds and winterization. Come and experience the difference in the level of service at Drummond Marine. Drummond Marine - Where Service Meets Excellence !